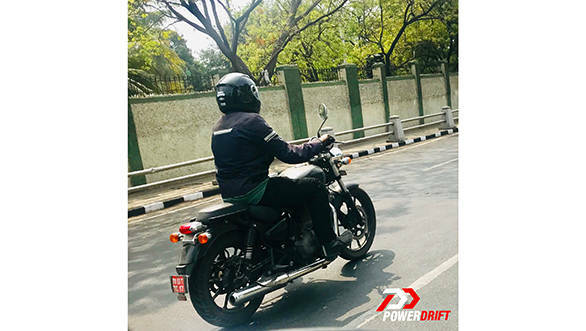 Not long after a test mule of the new-gen Royal Enfield Classic was spied on test, another test mule of the speculated nex-generation Thunderbird X has been sighted in the city of Chennai. As the differences were seen on the test mule of the Royal Enfield Classic, The Thunderbird X also carries some significant mechanical and cosmetic changes. 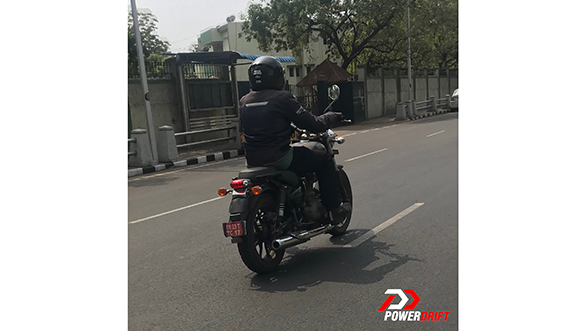 The chain drive sends power to the rear wheel from the other side of the rear wheel in contrast to the set up on the current Royal Enfield Thunderbird - that is the left side. This strongly hints that the test mule has a new engine which seems to have gone under heavy revision over the older model to make it BSVI compliant. With a newly designed engine, the chassis would also go under minor changes such as reinforced engine mounts and a revised head-stock. The pillion seat of the new Thunderbird X visually seems to be lower which could mean the motorcycle would get a reworked sub-frame. Along with the redesigned engine, the bike gets a new swingarm which houses the rear-disc brake on the opposite side of the driver-sprocket. The front disc brake is also set up on the other side than that of the current model. Cosmetically the bike will receive a restyled headlamp and a redesigned instrument cluster. The Thunderbird X will carry on with the same, relatively flatter handlebars, however, the Thunderbird will boast of the same high handlebars. The same mechanical and cosmetic changes are expected int he Royal Enfield Thunderbird as well. The updates will make the motorcycles dearer to its customers by Rs 20,000 over the current models. The Thunderbird 350 X is priced at Rs 1.61 lakh and Rs 2.13 lakh for the Thunderbird 500 X.